The Super Bowl is Not So Super! 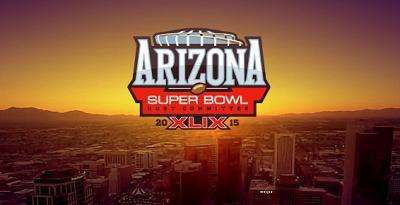 This year the Super Bowl is coming to my home state of Arizona. As you can imagine, there is tons of talk and media coverage about this great event, especially since it will be almost in my back yard. Well my backyard is actually in Scottsdale but you get the idea. After reading an article about how difficult it can be to get tickets, I have come to the conclusion that the Super Bowl is not so super. To start with, the face value for tickets is absurd. $800 is the cheapest ticket there is. And we are not talking lower level or even upper level near the middle. We are talking last row, upper deck, end zone. I am not totally unrealistic. I understand this is one of the most popular sporting events in the world. The part that digs into my pores like dirt in a pimple, is how the ticket allocation goes. Both teams get a certain percentage, the NFL gets a certain percentage, each team in the NFL gets a certain percentage, and the Arizona Cardinals as the host team gets a percentage. But wait, it gets better. The hosting NFL team gets the smallest percentage. It’s our building!! I could rant much more, but what gets me the most is that the only group with access to face value tickets outside of the distribution I just described is… The Arizona Politicians!! Yes, you heard me correctly… the politicians. They are already rich and famous!! Why for the horror of a slaughtered pig skin do politicians get face value tickets. I can’t explain it except for the equation power equals privileges. As for the other ticket allocations, while you would think they would be put to good use, a large percentage ultimately get passed along to the ticket brokers so they can make millions in profits. There you have it. The Super Bowl is not so Super. Okay, maybe for the politicians and the ticket brokers but nobody else.